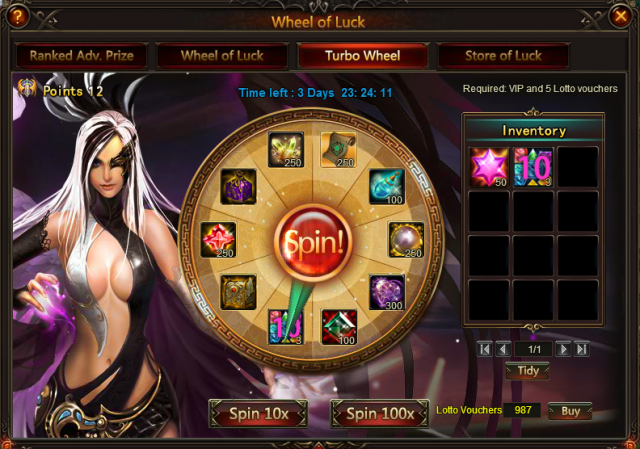 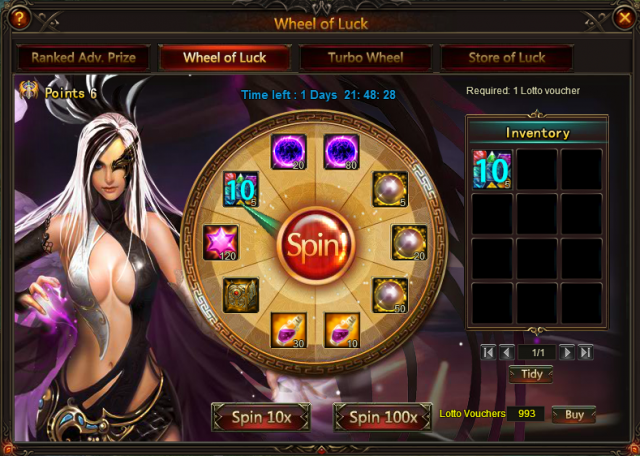 Spin the wheel of Luck to collect Element Crystal, Soulstone, Lvl.11 Valuable Gem Chest, Energy Card, Purgatory Soul, Lvl.10 Valuable Gem Chest, Aegis Shard, Spring of Wisdom, Angel Tears and more! 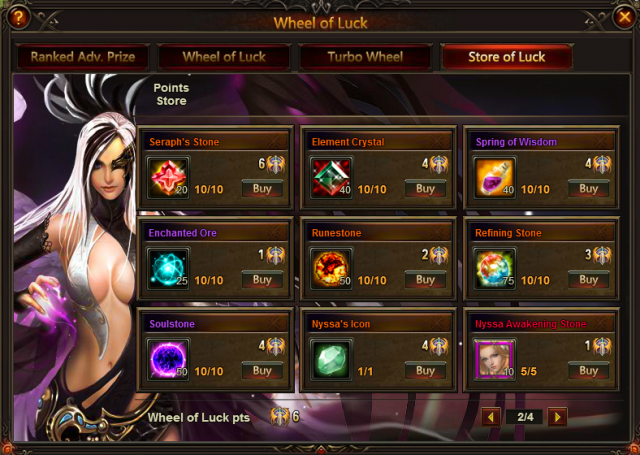 Besides, come to collect more points to get Compass Chest, Nyssa, Nyssa Awakening Stone and many other resources! 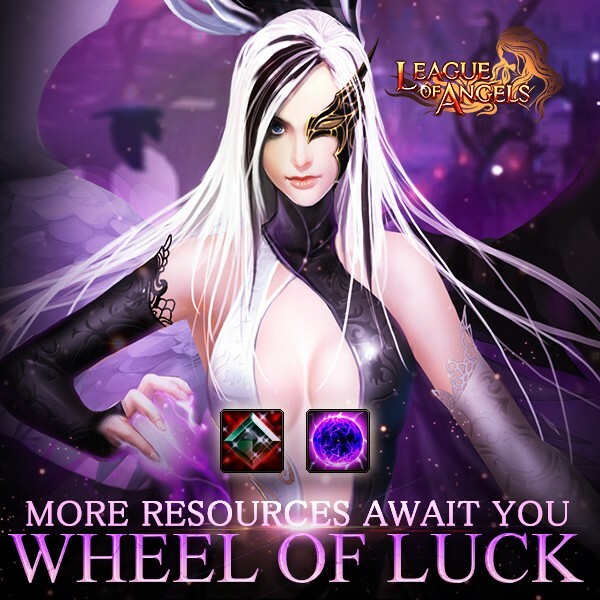 More exciting events are coming up through Dec.15 to Dec.18 (server time), check them out in the in-game Hot Events menu now!